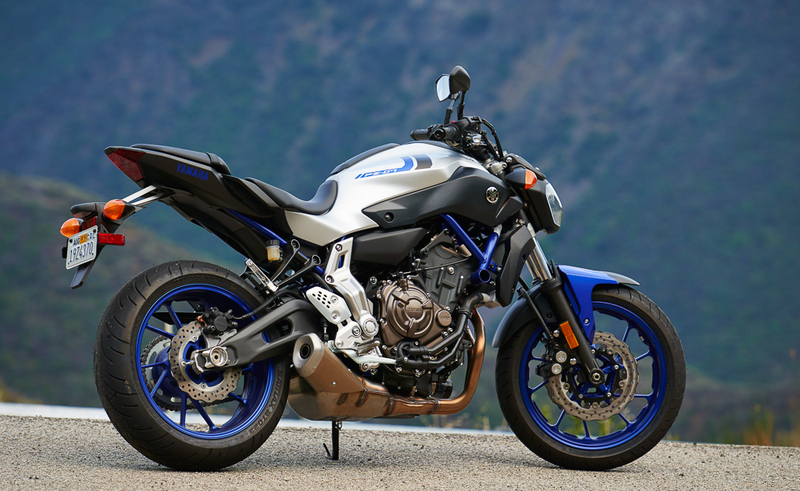 When Yamaha announced today that the 2016 FZ-07 and FZ-09 would be in dealerships beginning in September, another tidbit was dropped. 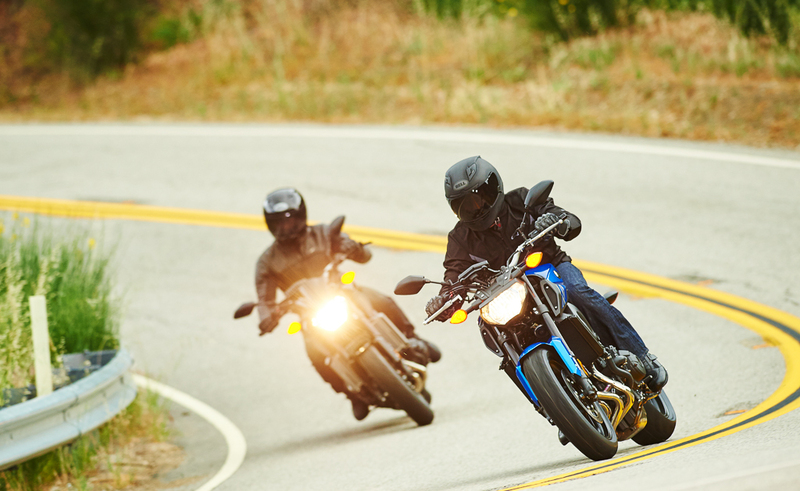 Collectively, the two models account for two of the top-four-selling motorcycles the company produces. The fact that the FZ-07 has been on sale for less than 12 months makes its placement at number four even more impressive. Yamaha’s PR reps said they expect it to move up the ranks as time goes on. The Matte Silver FZ-07 sports cool blue frame components and wheels. For 2016, the FZ-07 keeps all the important details the same as in 2015 – except for the color. The 689cc inline-Twin will still produce the ample mid-range torque that we love. The first-rate fuel metering delivered a precise connection from the rider’s right wrist to the rear tire, and the FZ’s sporty handling impressed our staff – even with suspension that was built to a price point. The dual 282mm wave-type brakes and the four-piston monobloc calipers perform impressively for this category of bike – though ABS is still not an option. Still, the FZ-07 remains a great value for $ 6,990, and you get to choose between Raven and Matte Silver. The FZ-09’s improved EFI makes backroad thrashing even more fun. Weighing in at number two in Yamaha street motorcycle sales (behind, surprisingly, the R6), the FZ-09 continues to wow our testers, particularly now that the EFI glitches that plagued the 2014 model have been exorcised. The beast of an 847cc inline-Triple, now cured of its herky-jerky throttle, can actually take advantage of the engine’s impressive bottom-end torque and the riding modes that its ride-by-wire throttle enables. The upright riding position gives the impression of straddling the front wheel. When combined with the leverage of the wide bar, the FZ-09 can quickly be pitched into corners. Heavier and aggressive riders can cause the FZ’s softly sprung and damped suspension to be overwhelmed, but, with an $ 8,190 MSRP, upgrading suspension components is probably within reach for most riders who would need stiffer suspenders. So, the only real decision is which color to get, Raven or Impact Blue. 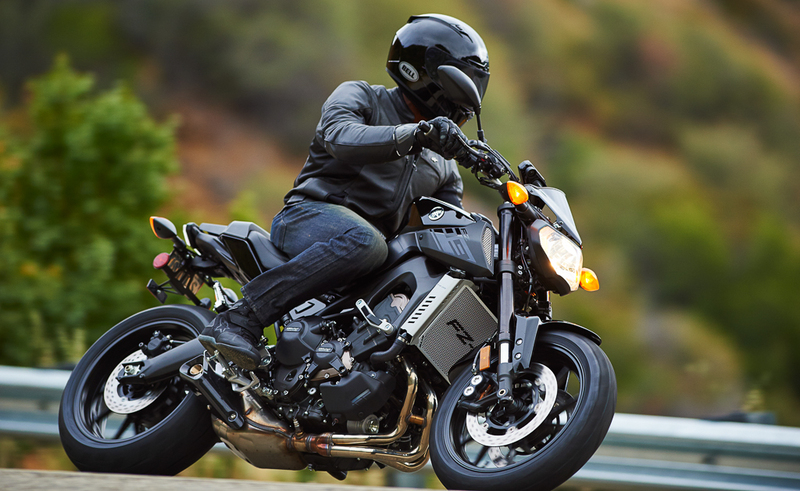 The 2016 models of the FZ-07 and the FZ-09 will be in dealerships beginning in September. Yamaha Slates 2016 FZ-07 and FZ-09 for September Release appeared first on Motorcycle.com.